← Thanks 2011 and Bring on 2012! Just last week I had to clean out my office so it could be painted. Amongst all the dog-eared paperbacks, art materials, blank notebooks, Doctor Who figurines, hand-crafted Father’s Day presents and old photographs there were fragments of notepaper, all bearing the scrawl of me, the mad writer. Seeing all those pieces of paper scattered like leaves around the room, I suddenly realised how much of a hoarder I am. Not just of paraphernalia, but of ideas. I never have any trouble coming up with story ideas, what I do have trouble with is actually getting around to bringing all of them to life. My wife’s solution was simple – write the ideas down yes, but then transcribe them into the computer and throw the piece of paper away. Makes sense doesn’t it? I guess this comes back to my aversion to typing stories into the computer. Personally I hate it, but I know many authors who write that way. I find writing freehand is cathartic and the story seems to flow out of me as I run my hand across the page. My handwriting is hard to read sometimes, but it’s mine. The prospect of throwing those notes away is daunting because I’d feel like I was throwing pieces of myself away. The same goes for my collection of books – if I put them in a box to go to Lifeline or elsewhere, I’m not just throwing pieces of me away, but the ideas of the authors I admire as well. Is that disrespectful? I believe it would be, therefore those novels will always have a place on my shelf. Amidst all this reflection and re-organising, I was having a problem with my new e-reader, a Pico Life. 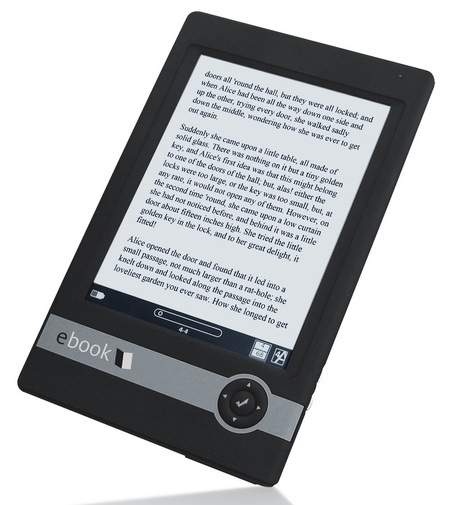 It was a good e-reader; colour screen for one, but then it just stopped holding its charge. I always wanted to get a Kindle, but couldn’t afford one at the time. I took the e-reader back for a refund and bought myself a Refurbished (secondhand) Kindle. Even without the colour screen, it’s still fantastic. Books are downloaded in 20 seconds and it feels so good and light in your hands. But when I was reading from the Kindle the other night, that twinge of betrayal crept into my subconscious again. I was lying there reading from a machine, while next to me my wife was reading a paperback copy of The Girl with the Dragon Tattoo. This is the eternal argument – how is a book meant to be read – via a screen or from the page? For a moment I felt like I was throwing away a piece of myself again by not indulging in the printed page, the smell of ink on paper. I’ve always said that e-books and e-readers are simply new tools for writers to reach their audience, but is it better to hoard as many books as we can in case the screen becomes the norm? 8 Responses to Paper or Pixels? I'm not a book 'hoarder', I'm a book 'collector'. I justify the distinction by the fact that my books are all organised, on shelves in alphabetical order… well, apart from the fact that I've now run out of shelves and there is quite a bit of spill-over. New shelves are most certainly needed. I've yet to get into the ebook thing – apart from the odd item on my smartphone – and love walking into my 10-bookshelf library, browsing the shelves, searching for books that I haven't read in 10 (or even 20) years. I like to just stand back and look at an entire 5×15 metre room filled with books. I like to look properly at the covers, the artwork. I like feeling their weight in my hands. You can never really do that with an e-book. I have my kids, friends and family all visit my 'library' regularly for the sole purpose of browsing my shelves and looking for a book to borrow. While they browse, we chat about the books. They ask questions about certain titles, certain authors, and long discussions ensue. It's a social thing just as much as a personal obsession. I love it. The other day, in a local second-hand bookshop, an obvious 'tourist' came in. They'd received a kindle for xmas. Loaded up with a multitude of titles they'd come on holidays looking forward to two weeks of reading on the beach… but after only 2 days their kindle had died. It also wouldn't hold a charge. Their holiday plans were ruined! So, there they were, in the 2nd hand bookshop, buying up five or six titles at a couple of dollars each. Some had survived multiple owners and readers for 20 or 30 years. And yet, there they were, still in perfect reading condition. Those old paperbacks would never lose their charge, and they rescued that person's holiday. That's the wonder of real books over e-books. That's why I'll always love a real book over a digital one. Thanks for your comment AShR… it's nice to see that people like your tourist still had the desire to read, even after their Kindle shorted out. I too love the printed book and I guess that's where my “hoarding” reference came from. They need to be preserved, not simply uploaded to an ereader. Your attachment to paper books isn't any more ridiculous than my attachment to a nice bottle of whiskey–and you're certainly not the only pal o' mine with a penchant for print. Where we'll never see eye to eye is the notion that the hardcopy book = the author's idea. Some people (JA Konrath, for instance) say that publishers are in the business of selling paper, and I think that's extreme, too. My personal philosophy is that it's the story that matters, not the medium, and my criteria for keeping paper copies around is how sentimental I am about the particular book. I cleaned my shelves yesterday, in preparation for a move. Any book I wasn't going to read again–in a pile, to be given to young Soldiers on the base at which I'm stationed. Anything I could easily procure digitally should I decide I DO want to read again–in the same stack. What'd I keep? My signed books–and my signed collection consists not of pricey limited editions, but regular books signed by authors I know and admire, and am personal friends with in many cases. I also kept books from my childhood–basically, the stuff on the shelves has importance beyond the story. A good story, I don't mind reading on my Sony. I hear you Lincoln – we share the same sentiment. Ultimately I was trying to point out the difference between the paperback book being more “physical” than text on a computer screen. A book brings an author's idea and their story to life IMHO. Obviously my stories have been published in both formats, but the actual physical book means so much more to me. There's nothing more invigorating for an author than holding their book in their hands. I'm really a bookworm, but I prefer to read on an e-reader! I can have in just one place so many great and interesting books for free or paid. I also love to buy printed books, because it's my obsession to have a very big and diversified library with many titles. Thank you for this nice article! Thanks for your input All you Can Books! There's definitely room for both formats in the world, but there's something truly wondrous about a book in your hands. Books are powerful and influential, just look at how much the Nazi's feared them? On the subject of clearing out books, you shouldn't think of it as throwing them away disrespectfully. Donate them to a good cause, then you're sharing all those wonderful ideas with others who might not have had a chance to fall in love with the stories as you have. I did indeed donate them Ashlee.